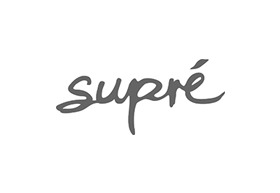 Established in 1984, Supré is one of the most iconic and recognisable brands in the Australian & New Zealand female youth fashion market. We’re here to take the fashion game to the next level for a style aware, global girl. From seriously distressed jeans and must-have bomber jackets to luxe dresses and cute accessories for a night out, at Supré you can shop the latest trends as soon as you see them on your favourite influencer. Our Chadstone store is every teenager’s dream club house – no membership required. It’s a place to hang out and feel constantly inspired. Everything’s an instagrammable moment and tells a story. Most of all, our store is a place created by girls, for girls and a true reflection of the world you live in.